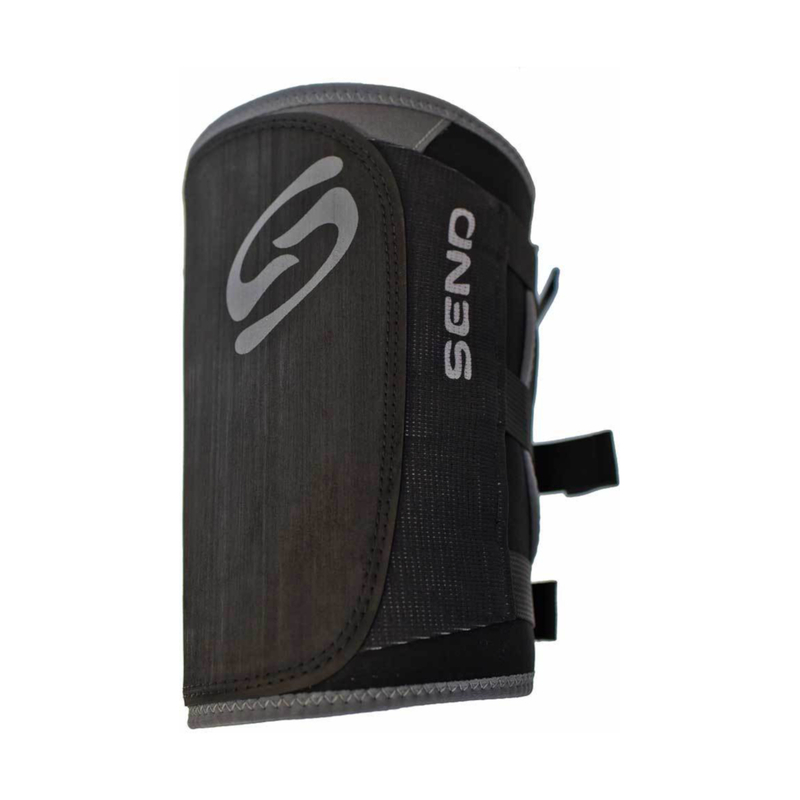 The Send Large SLIM Knee Pad features thinner rubber and thinner neoprene than the Large CLASSIC knee pad, giving it an ultralight, high-performance feel with increased sensitivity. The breathable and sticky airprene inner provides maximum adhesion to the leg without the need for duct tape or spray adhesive, and three Cinch-Lock buckles allow you to secure the perfect fit for you leg's size. 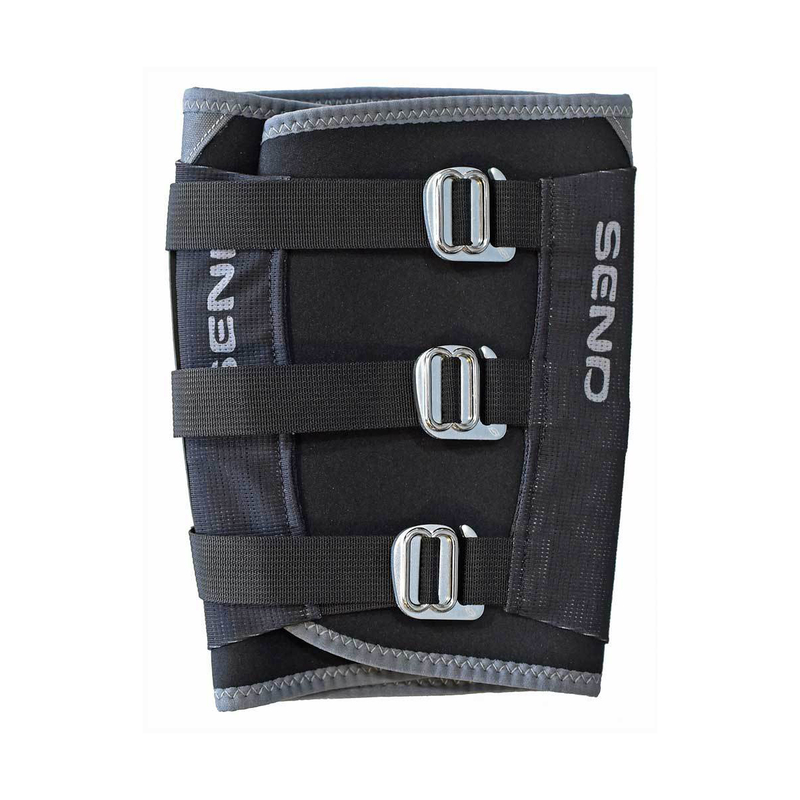 With better sensitivity and lower bulk, the Large SLIM will suit climbers looking for the best performance possible. I am a kneebar addict. I currently own 4 kneepads and this is the latest weapon in my arsenal. Previously, I owned the 5.10 pads and the thicker version of the Send Large Pad. This thin version is a compromise between sensitivity and durability. 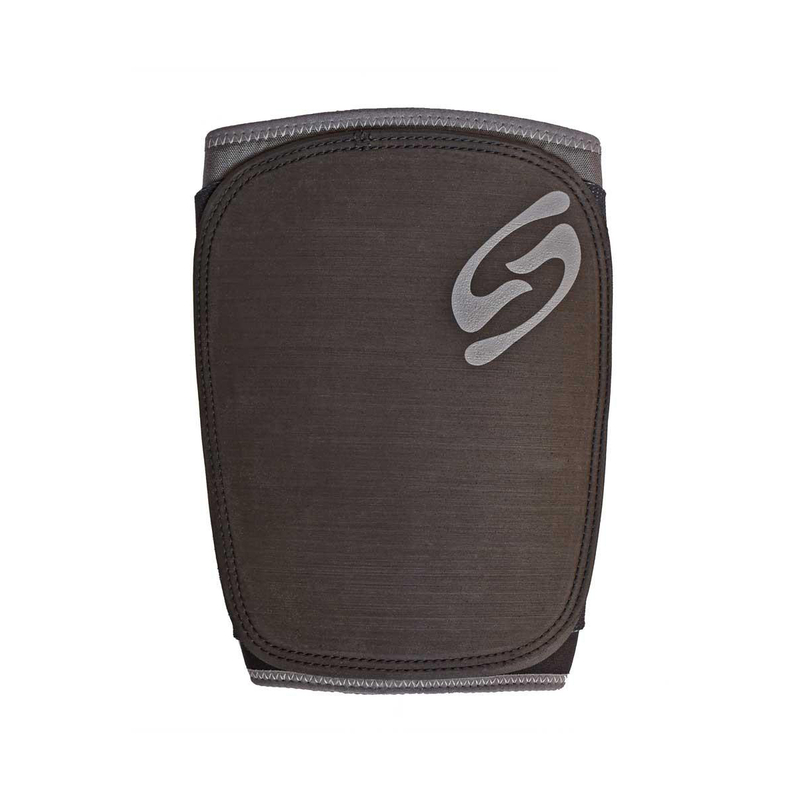 It is slightly less sensitive than the 5.10 pads but by comparison, is very easy to put on and stays in place even on long routes in warm temperatures. The 5.10 pads tend to slide down. The thicker version of this pad is good but lacks sensitivity and, although it fits much better than the 5.10 pads, requires much more trust on smearing kneebars than the thinner pads. 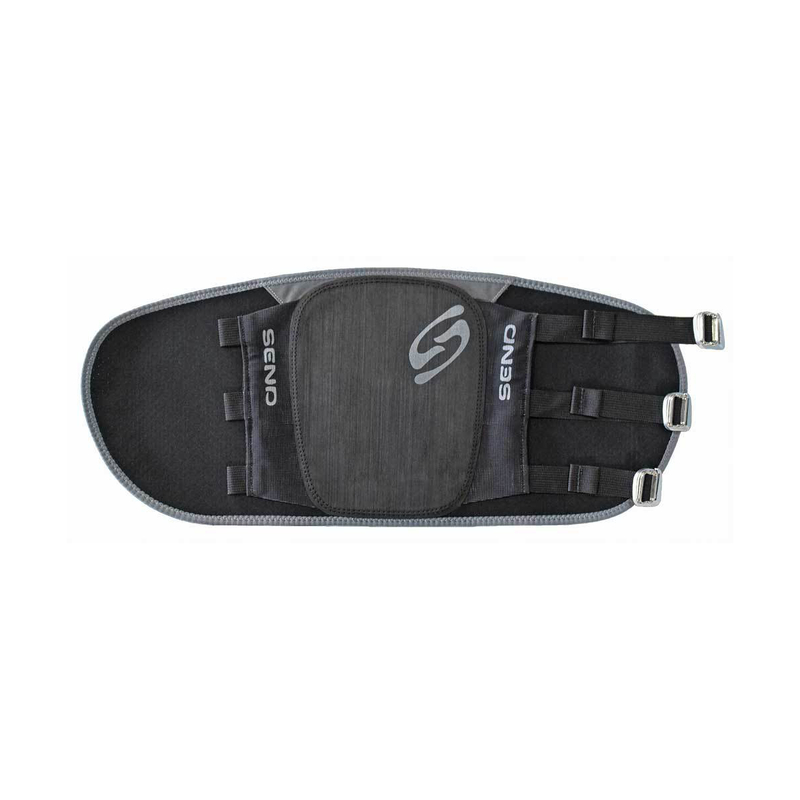 This pad certainly get top honours for anyone who loves to kneebar!